We got the early flight from Gatwick which got us into Fiumicino airport at 10:15am. This was great as we only had hand luggage so as soon as we got off the plane we could get on our way. We had initially planned on getting the train but ended up jumping in a taxi that quoted us a very reasonable price (I am going to do a separate blog post full of tips on getting to and from the airport and must-see places to visit in the city). 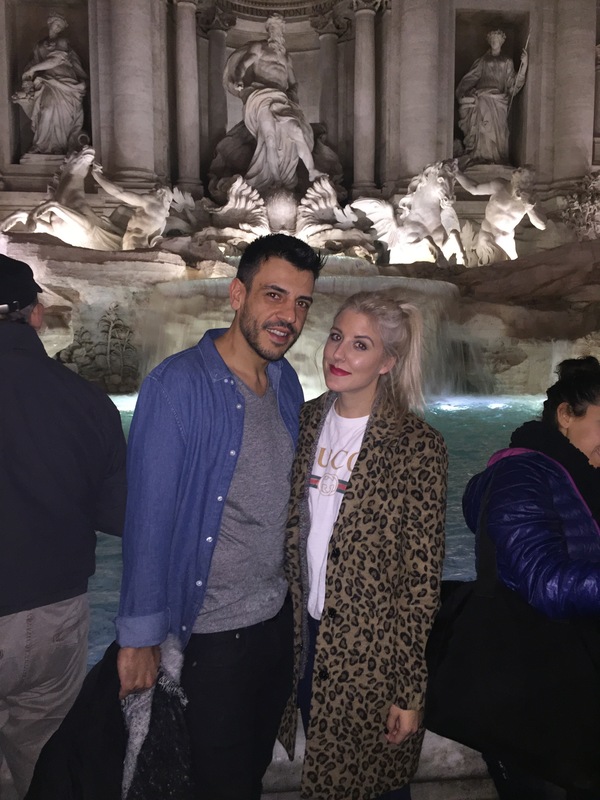 We were feeling a bit sleepy from our early flight so we had a little nap and got ready to head out in the evening, first stop; The Trevi Fountain. 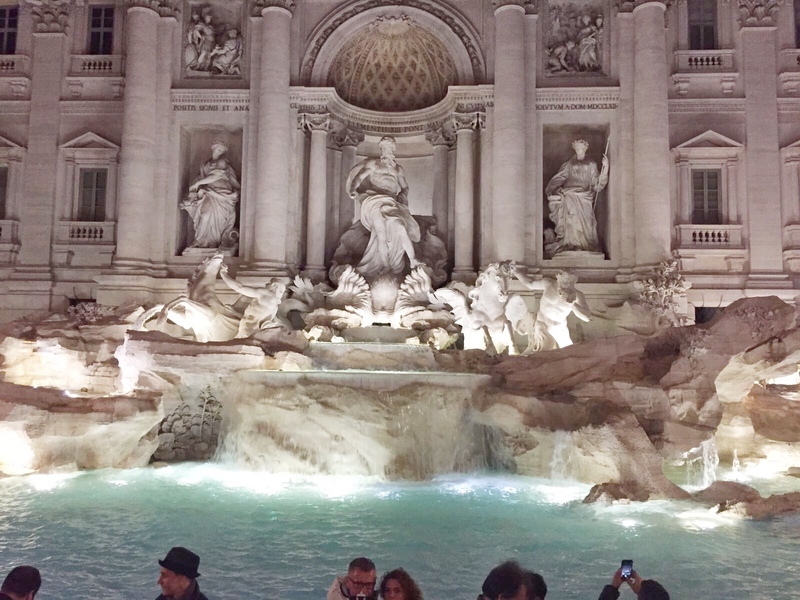 I was majorly excited to see Rome’s most famous fountain in real life, I knew it would be beautiful but actually it was more breathtaking than I could have imagined. As we approached the spot down the winding little back lanes I could hear the crashing of the water and hear the murmur of tourists. It had such a buzz as we turned the corner and set eyes upon the beautiful lit up sight. I could have stood and watched it for hours. 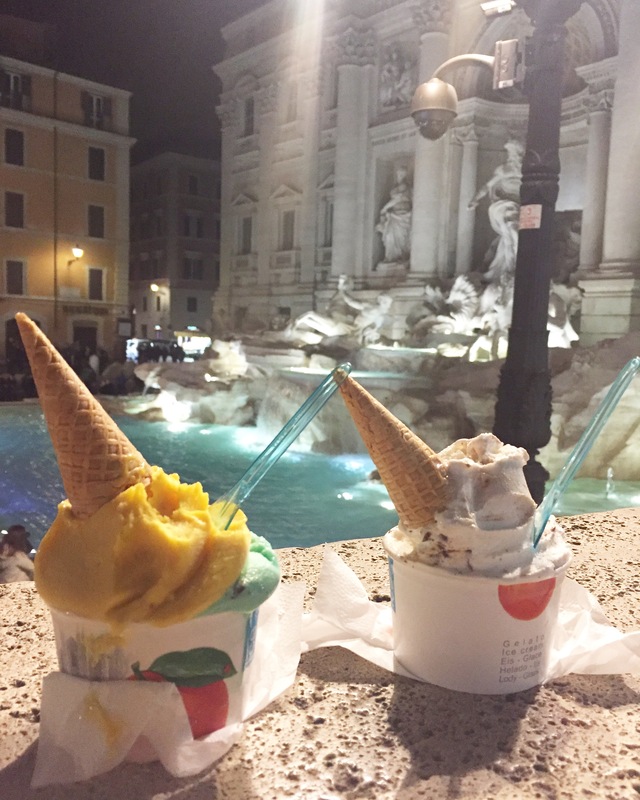 We popped into the little gelato and dessert parlour next to the fountain to try out what Italy is so famous for. We got 2 flavours each and headed back outside to people watch and enjoy the ambience of the bustling area. Still feeling quite sleepy we grabbed a quick bite to eat local to the fountain and made our way back to the B&B to catch up on some much needed sleep. Day 2 started early but also very wet indeed, we thought we would make the most of the awful weather outside our balcony doors and press snooze on the alarm and try again. After all, that is what holidays are about right? Second time round went a little better so we jumped up and threw on some clothes ready to explore. We went to a little cafe and had the best cheese & ham toastie I have ever sunk my teeth in to. 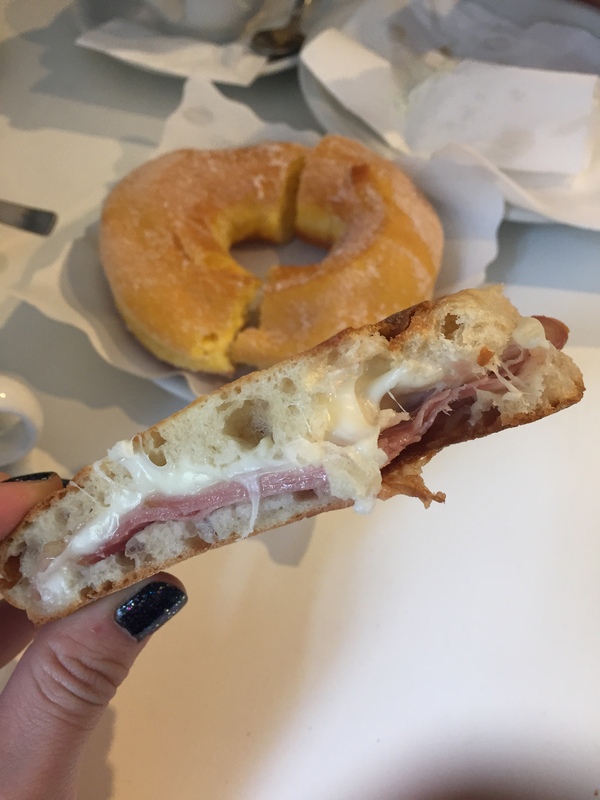 As we were in Italy it was the Italian version of said toastie; mozzarella & prosciutto (total game changer). 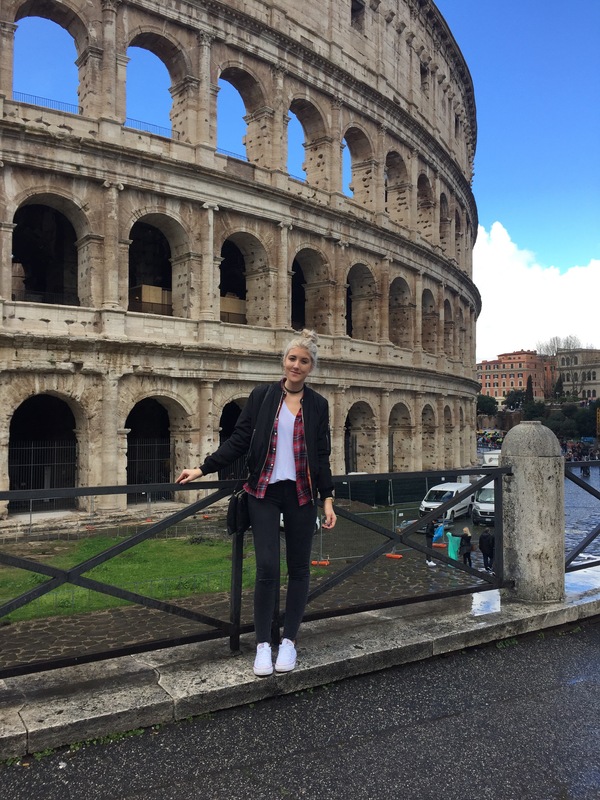 We were staying near to the Colosseum so this was first on our walking tour that we planned for the day. On the way there the heavens opened but closed again just as fast and certainly didn’t dampen our moods. There was a carnival on as we reached the huge circular creation. 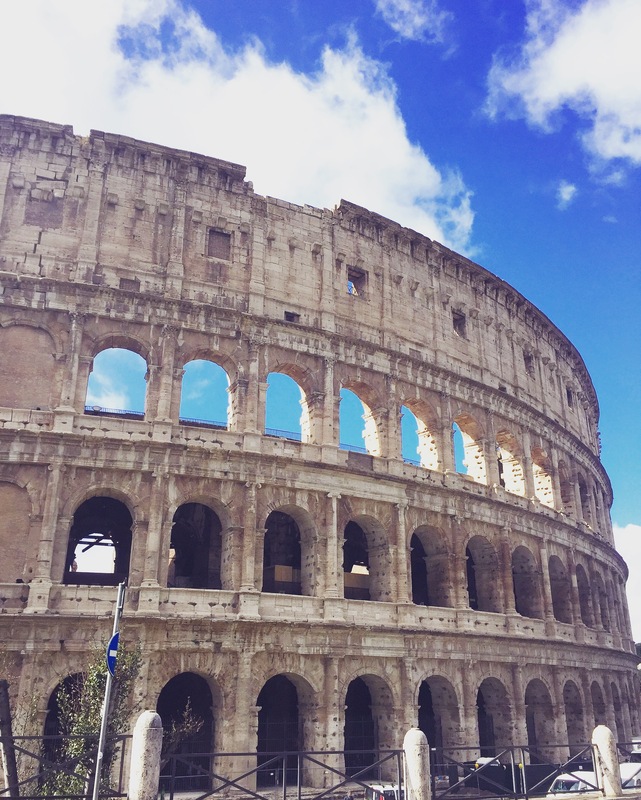 There were groups of men and women head to toe in traditional dress, performing traditional Italian dance up the road on the way out from the Colosseum leading towards Piazza Venezzia. We carried on a few hundred feet and climbed up the stairs on the back entrance into the Monumento Vittorio Emanuele II. We went through the museum and down the front stairs and took in the magnificent building before us. This was one of my favourite buildings. So grand and full of detail in every square inch you looked. 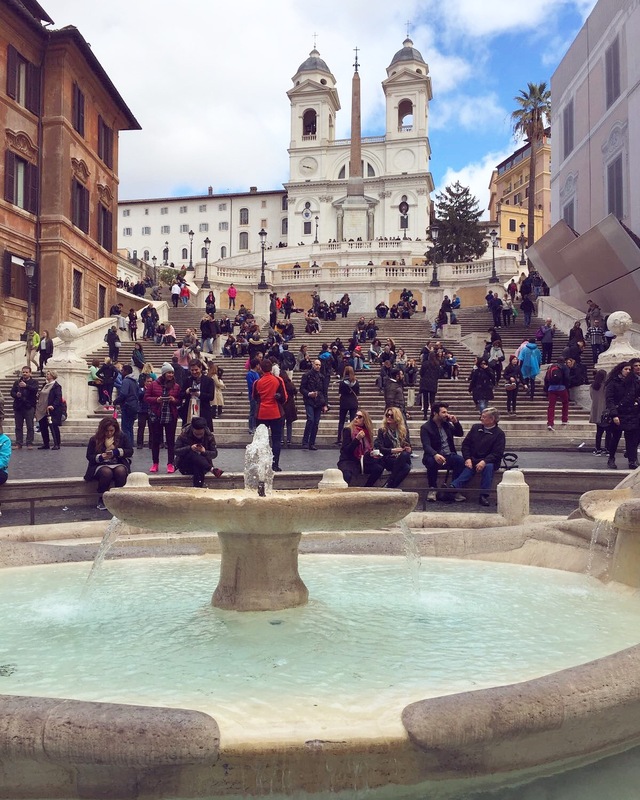 Next up was Piazza Di Spagna (Spanish Steps), this was another real hot spot with a busy vibe. Tourists all around taking photos and a grabbing a pew on the steps for respite in between all the sight seeing. It seemed to be a popular meeting point for locals. Behind was Rome’s equivalent of London’s Sloane Street. Lined with Prada, Gucci, Moschino, Cartier, Harry Winston among all the other high end names. I couldn’t not pop in to the Gucci store and pick up myself a piece from it’s homeland. 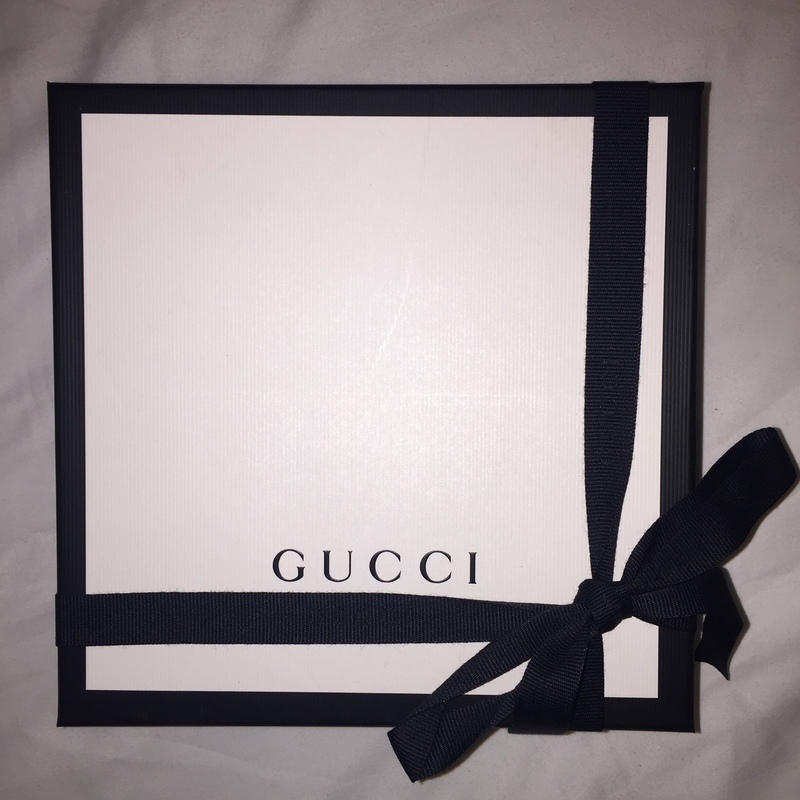 I treated myself to the GG marmont skinny belt that I have been lusting after for a while and with only a week till my birthday I thought what better reason to buy it! That evening we wanted to head to an area I had read a lot about and had been advised to visit at least once on my trip. Trasteverre is a truly beautiful area that has recently become known as the ‘cool, hip’ district. It has back streets filled with family run tavernas and bars as well as some super quirky shops selling all sorts. You can pick up some really cute little pieces of jewellery or bags as well as awesome handmade glass home ware. We just walked and walked and stopped along the way to have a browse of menus. We carried on and they all sounded more delicious than the last which made it extremely difficult to pick one. We ended up picking one that was smaller than my bedroom but filled with locals (always a good sign). Our favourite thing to do is order a mix of starters and smaller dishes and share. This way you get a real taste for local food and get to try out a variety of flavours. 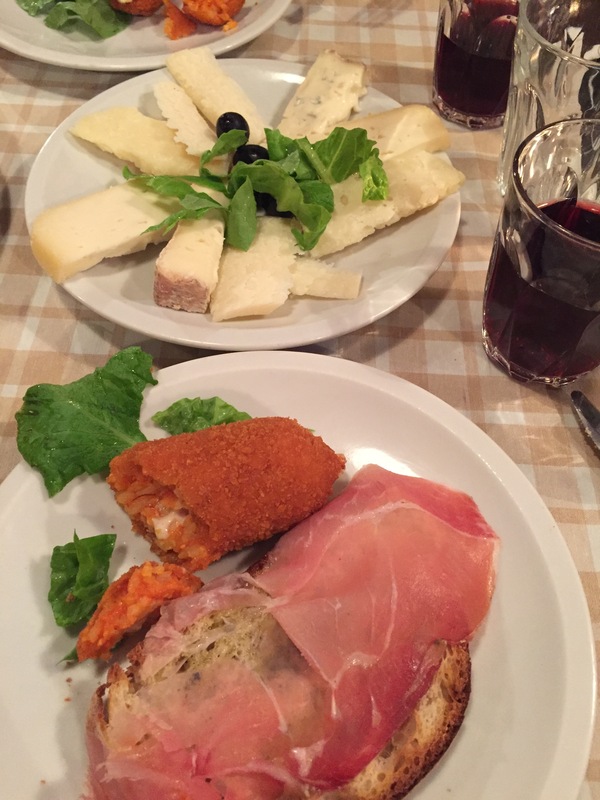 After dinner to took a stroll down the River Tiber and stumbled upon a square full of restaurants and bars. We relaxed over espresso martinis and let our feast digest before heading back to the b&b. Day 3 was time for a trip to the Vatican. We jumped on the metro there just to get us there quicker as we wanted to fit as many places in on our last day. The metro is super simple and I’ll cover that in my next post which will be more of a ‘how to’ guide on visiting Rome. We decided beforehand that we weren’t going to do the tour of the Vatican but if you want to I highly suggest you pre-organise this as the queue when you arrive to pay and go in is hours long and I’m talking around 6+ hours! You will get hassled on the way into the Vatican by so many ticket touts, you could bag a bargain here if you wanted to leave it till the last minute or change your mind about going inside. It was a beautiful, and most certainly grand, building and I am definitely glad I went to visit. I would liked to have seen the inside but with such a short time in Rome I wanted to utilise it more wisely. As you leave the main front entrance to the Vatican, Castle Saint Angelo stands in front of you, which is a great view point if you have the time to go in and up to see across the gorgeous city! We carried on across the river and just strolled through all the winding streets to see where we ended up. We found squares filled with markets and little cafes and the most beautiful fountains at each little square we reached.c everyone different from the one before. They all have their own character and tales to tell. You truly never tire of seeing such stunning creations. We did as we always do and look for the busiest restaurant but filled with locals rather than tourists. We really like to get a real feel for the local cuisine. We ate so much delicious food and consumed litres of red wine that I’m surprised we didn’t have to roll back to our base! 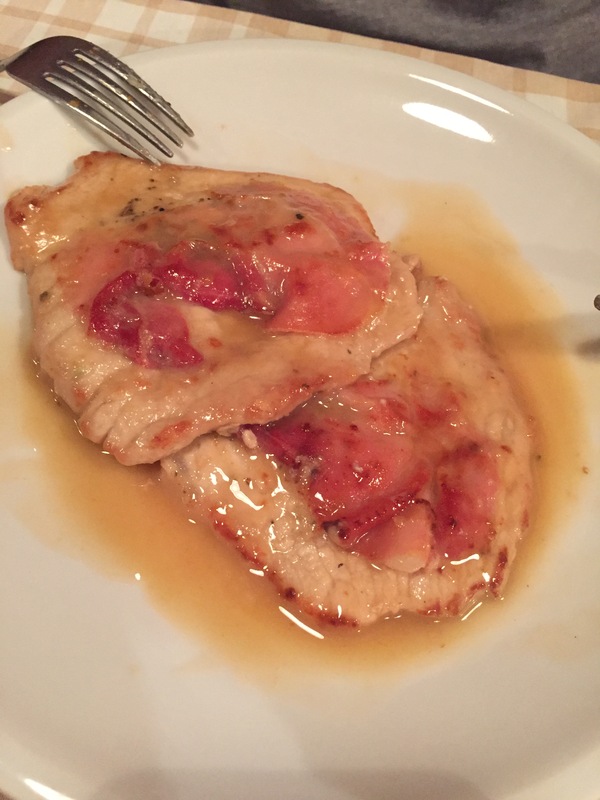 More to come on food in my next post. 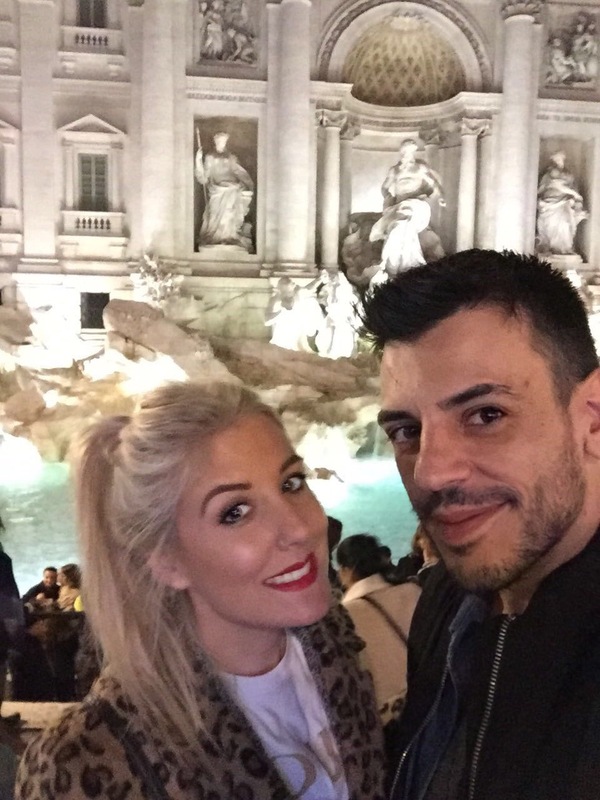 We fell in love with this area so much that we committed to spending our final evening back here so after a quick and much needed cat nap to sleep off the food and wine coma we were so very nearly in we got an uber to save time (WAY cheaper than London) and made our way back to Trastevere. Our final night meant we wanted to have our best meal yet and our choice lived up to and beyond our expectations. It actually started to rain after we were doing our usual stroll and browse the menu routine, meaning so we had to make a decision slightly quicker but for me it was a sign that our trip was supposed to conclude in this little side street, dimly lit restaurant. Bearing in mind we were still full to the brim from lunch we still managed to order the majority of the menu. 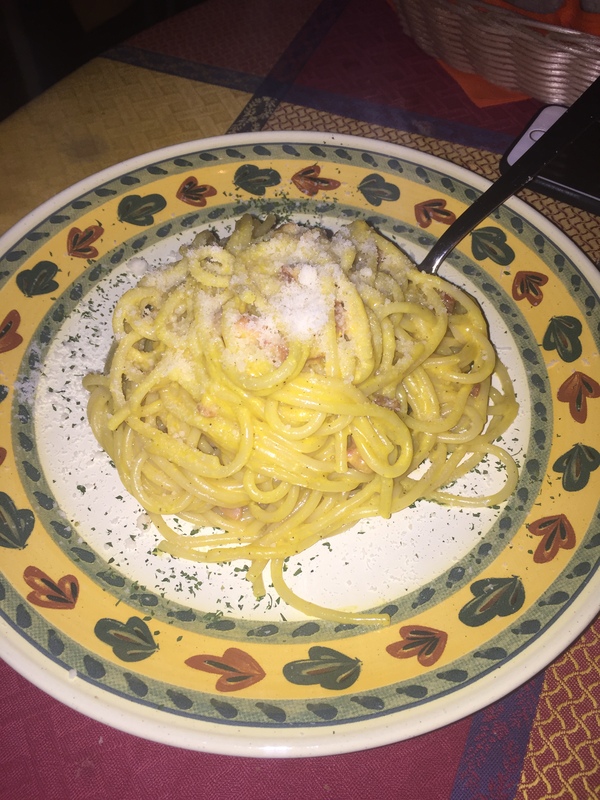 I could go on and on about how incredible the food was, how incredible Rome was in general actually. However, I have gone on line enough so I will save the last supper details until my next post as this is a must visit. 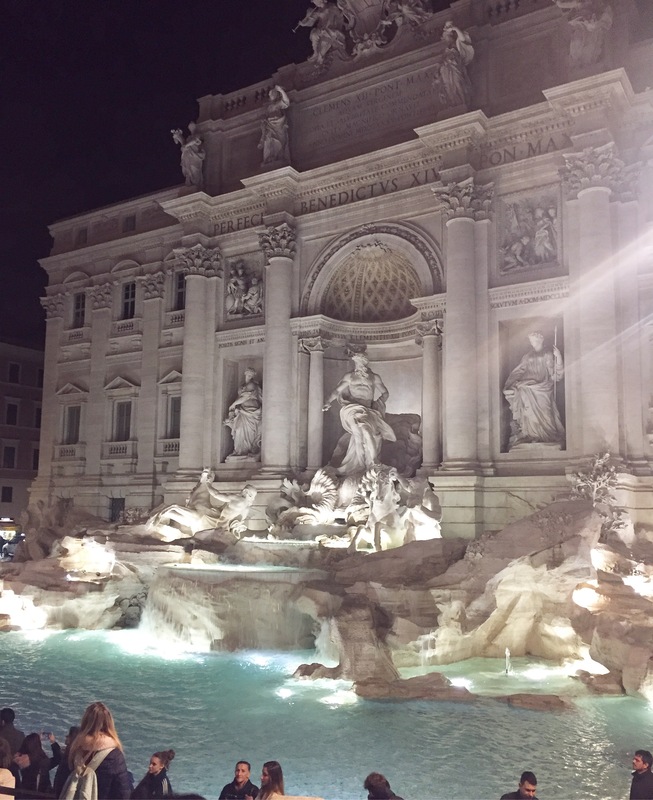 All in all, Rome was better than I could have expected. On a return visit I would definitely stay in a different area which I will elaborate on in my ‘how to’ post. It was a brilliant 3 days and left me loving Italy (what I have seen s far) more than I already did!